During the wars in Iraq and Afghanistan, tens of thousands of military personnel have received “mental illness” labels followed by prescriptions for brain-damaging psychiatric drugs. But a growing number of mental health professionals, physicians and others now recognize the potential for grave harm inherent in the mass drugging of soldiers and veterans. “Over the last few years we have witnessed a rash of news reports of unusually high suicide rates, sudden cardiac deaths, and acts of violence committed by those who have been prescribed these chemical cocktails,” reported the International Society for Ethical Psychology & Psychiatry (ISEPP), a nonprofit with roots extending to the 1970s. 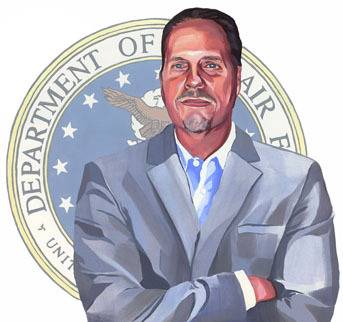 Late in 2012, according to Dr. Chuck Ruby, a clinical psychologist and chairman of ISEPP’s board of directors, the group launched Operation Speak Up to unify ISEPP’s efforts to help veterans and to change the federal government’s policy that relies heavily on drugs for treatment. “At present, the government’s first line of treatment is the prescription of dangerous psychiatric drugs that are ineffective at best and deadly at worst,” said Ruby, a retired Air Force lieutenant colonel whose 20-year military career included work as a counterintelligence special agent and investigative psychologist. Contrary to media portrayals, veterans with war trauma aren’t “sick”—they are “reacting normally to abnormal experiences,” Ruby believes. Instead of handing them drugs, effective means must be made available to assist veterans, he said. “We want to give them a voice through talk therapies, peer counseling, and community support,” he said, methods that have been shown to help. “Most people taking psychiatric drugs have never been told by the person prescribing them what the harms or potential harms are of the drugs and how they work,” he said. Through letters, visits to Congressional offices and officials within the Departments of Defense and Veterans Affairs, the Internet and other means, ISEPP and Operation Speak Up have been raising awareness of the consequences of the mass drugging policies and the need for more humane and effective alternatives. One woman, labeled bipolar and heavily drugged, had been told by a psychiatrist that she would be a lifelong patient and should enter a group home. Instead, as that person wrote to ISEPP, the “patient” had stopped taking psychotropic drugs, started a family and entered a Ph.D. program with a chancellor’s fellowship. “Life is not a disorder,” she wrote. Ruby calls the first-line policy of drugging veterans “short-sighted”—a policy he and Operation Speak Up intend to change.